Who can stop MVG in Copenhagen? He is far and away the best darts player on the planet today, and there is already plenty of conversation as to whether he might one day eclipse Phil Taylor to become the best ever. At 29 years old, Michael Van Gerwen could be at the top of the game for another 20 years or more, so it is certainly a possibility. 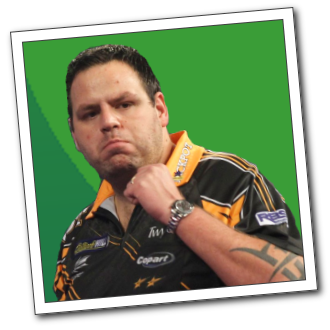 But the question in the here and now is just who can stand between the mighty Dutchman and yet more PDC titles. Van Gerwen cruised to a clinical win at the Gibraltar Open last week, averaging 108 in the final. It’s hardly surprising that bookmakers already have him as odds-on to win his sixth European Tour tournament of the season when the action moves on to Copenhagen for the Danish Open at the end of the month. But 3/5 on doesn’t present much of a prospect for anyone wanting to take advantage of the free bests and sporting promo codes that online bookmakers are so keen to hand out like confetti. Can anyone beat him? Here, we take a look at the best of the rest, to see who has a realistic shot. The reigning PDC World Champion, Rob Cross got where he is the hard way, beating Van Gerwen in the semi-final, in what many saw as one of the greatest encounters of all time on an 11th leg tiebreaker. And then he went on to defeat the master himself, Phil Taylor, in the final. Comparisons have been drawn between Cross and Taylor, which might seem premature for a man who had only turned pro 11 months prior to winning the title, but he clearly has the talent and the bottle to win on the largest stage. However, Cross hasn’t won another title since, and his best run on the European Tour so far has been to make the semi-final at the German Open, where he lost to eventual winner Max Hopp. The bookmakers are not expecting a change of fortune in Copenhagen, and he is at 15/2 and lengthening. Snake Bite is the world number two, and the man we are most accustomed to seeing take on Van Gerwen. The problem for Wright is that much like Rob Cross, he has been short of good results over recent months. He’s not progressed beyond the quarters so far on this year’s European Tour, and his last win was the German Masters, back in 2017. 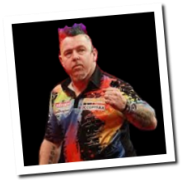 Wright is never a man to be underestimated, and the bookmakers feel that he has a better chance than anyone else of causing an upset in Denmark. They are offering odds of 13/2. It’s been a tough few months for the man from Stoke. He has a suspended ban hanging over him after some pushing and shoving with Jose Justicia at the qualifier for the UK Open in Wigan back in February, but he put it all behind him to be a surprise finalist in the Gibraltar Open. That builds on two final appearances in the Players Championship in Barnsley in April. Lewis is certainly coming into form, but can he take the final step and push on to his first tournament win in more than a year? MVG was full of praise for his opponent after Gibraltar, but the relative ease with which he brushed him aside is cause for concern. Nevertheless, at 20/1, the odds look distinctly tempting, particularly if you are contemplating an each way wager on a rematch of the Gibraltar encounter in Copenhagen.